It seems that Yahoo is in a Predicament in the PPC share. So as I work on some Yahoo Search Marketing campaigns this weekend I was thinking about Yahoo!’s woes and come to think of some features that might help Panama for advanced PPC campaign managers, ground level. Others have come up with some excellent big-picture ideas, but mine are more nitty gritty, from the trenches stuff. While I’m kinda nervous about making the comments, I do have some faith in the folks at Y!, and have had great results on their system once I get a campaign going. So with dirty fingernails and weary fingers…here goes. 1. Make it easier to split adgroups, selecting which keywords go with which split. Advanced PPC marketers know that in order to succeed on PPC, especially in a new campaign, you must first fire up a large-ish group to determine the impression data and then begin the process of splitting thematic searches into buckets (adgroups) with their own targeted ads and keyword groupings. Trouble is, the PPC engines do not support this mechanism very well. It’s too many steps, and for a busy Search Marketer, I’m sure that some campaigns operate less-than-optimally because of simple “hours-in-the-day” issues. 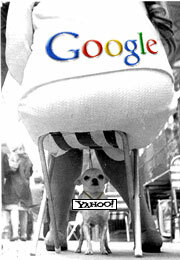 Since Yahoo wants to report improved performance, this is one way to get that done! 2. Offer the ability to auto-insert analytics tags of your own, account-level definition. Allow a search marketer to define analytics tags when they set up their account. Campaign, adgroup, keyword, etc. are all consistent during marketing. Once set up, these could then be auto-filled by the engine so that analytics information from YSM flows into whatever tool we use easily. Google doesn’t do it, even though they have their own analytics tool, so this could be a small, but big leap forward. 3. Create a robust, lightweight desktop campaign editing tool that helps people not go postal. It just took me an HOUR to get a spreadsheet of campaigns uploaded into Yahoo! – 14 tries, each one frustratingly time consuming. Make something that doesn’t require endless repetitions and downloads of zip files with errors. Yes, I know you have an API, but for many who don’t use it, simplify the process of uploading campaigns, adgroups and so forth via files. Report on import errors on the screen, not in a file, and possibly even let us make tiny fixes mid-upload. How about a simple desktop application? And please don’t make it as fat and slow as Google’s version.